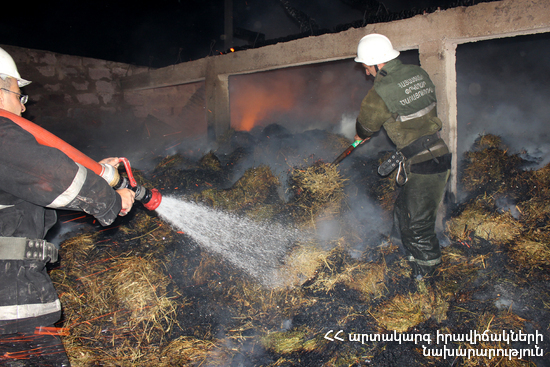 On September 11, at 21:00 an emergency call was received to “911” service that the roof of a house was burning at the beginning of Vahagni village, Lori Province. It turned out that the fire had broken out on the roof of a barn near a house in the 1st street. The fire was isolated at 22:07 and extinguished at 22:50. The wooden constructions (about 60 m2) of the roof and about 120 bales of hay (stored on the roof) burnt.